We never sell copies or reproductions of any kind; this photo has been hand-signed by Steve Buscemi, Michael Stuhlbarg, Kelly Macdonald, Jack Huston, Paul Sparks, Anthony Laciura & Charlie Cox. Steve signed this photo at TIFF in Toronto, Canada on September 9, 2017. 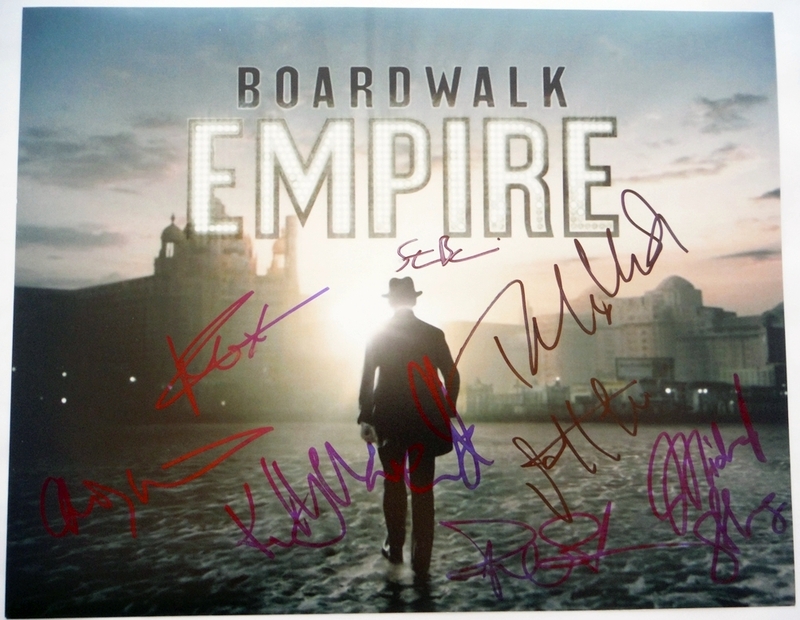 Michael, Kelly, Jack, Paul, Charlie & Anthony autographed this picture at the premiere for Boardwalk Empire in New York City on September 3, 2013.